A Justin Timberlake song has mysteriously surfaced online as he's working hard on the "Troll" soundtrack and his next solo album. Titled "Battle of the Sexxxes", the just-leaked track features contribution from the singer's frequent collaborator Timbaland. It's unclear when the song was created, but the heavy-hitting beat sounds like something that could've made the cut to Timberlake's older albums like 2006's "FutureSex/LoveSounds". It opens with Timbo laughing and telling the former boybander, "Don't hurt her Justin/ That was the past/ Put it all behind you, homeboy." Later, Timberlake emerges with some messages to his ex. "Don't be afraid to get nasty/ Don't be afraid to get wild/ Just point to your spot and ask me/ I'll make it worth your while," he sings. 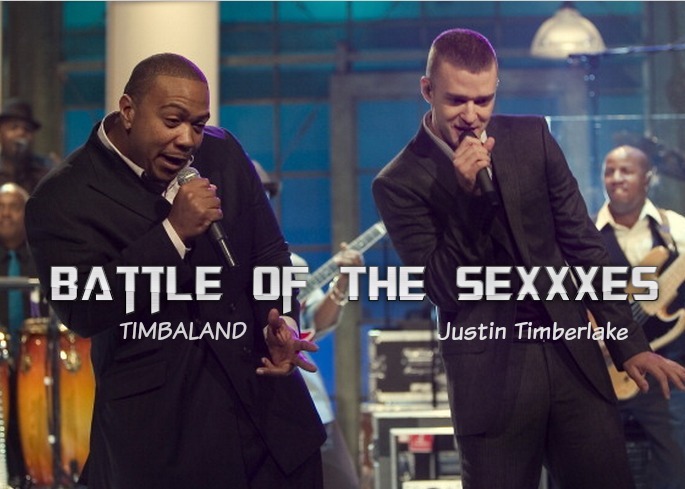 Justin Timberlake ft Timbaland - "Battle Of The Sexxxes"